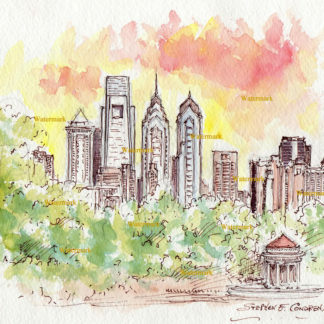 Philadelphia skylines #081Y • Condren Galleries Ltd.
Philadelphia skylines #081Y are metropolis cityscapes with prints and JPEG & PDF image scans for reproductions also with a 20% off coupon by artist Stephen F. Condren, BFA-SAIC. 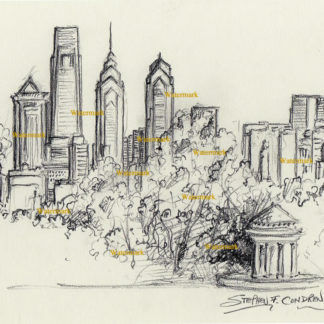 Because Philadelphia is big, it’s skyline is big. 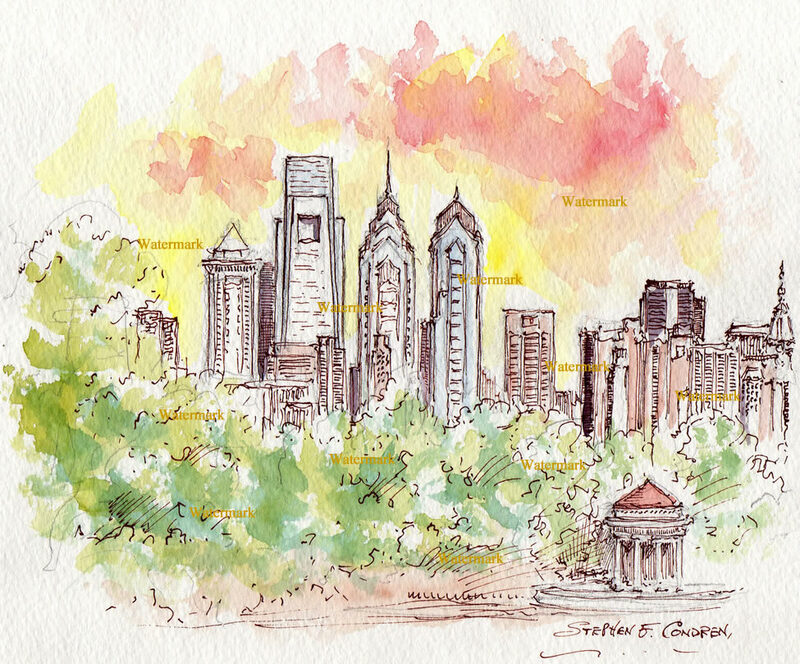 Philadelphia downtown skyline watercolor painting at sunset by artist Stephen F. Condren. 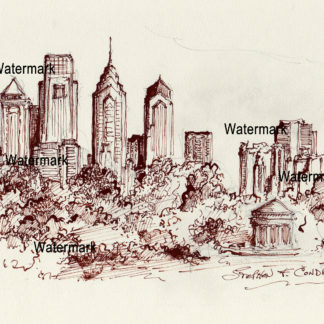 Philadelphia was the first capital of the United States of America. 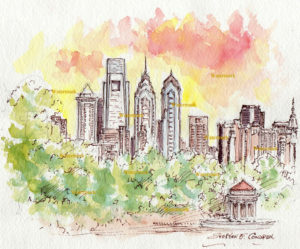 Most importantly, it is to this day a hallmark of freedom and independence.